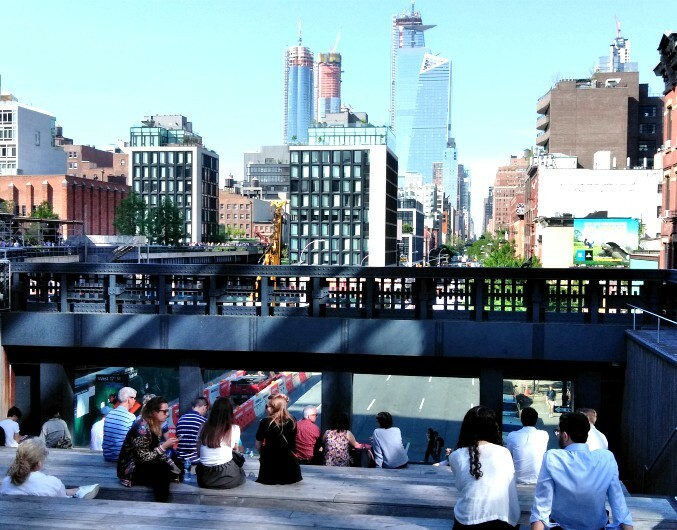 For being someone who LOVES New York City as much as I do, I can't believe that I knew nothing about the High Line. It's only been within the past several weeks that I discovered it while on You Tube and accidentally stumbled upon it. Knowing that I was going on vacation this week, I decided to check it out on my already planned trip into the city because what I discovered through watching the phenomenal documentary entitled, Great Museums: Elevated Thinking: The High Line in New York City, had me insanely curious to visit it in person. It took me sometime to find its location because it was in an area of the city that I hadn't been to in such a long time. But I persevered, and eventually found it while following Google maps on my phone. And I am soooooo glad I did! *It runs a mile and a half through 22 blocks; 30 feet off the ground. *It starts at the historical Meatpacking District, travels through Chelsea, and finishes in Hell's Kitchen. *It runs parallel along the Hudson River. 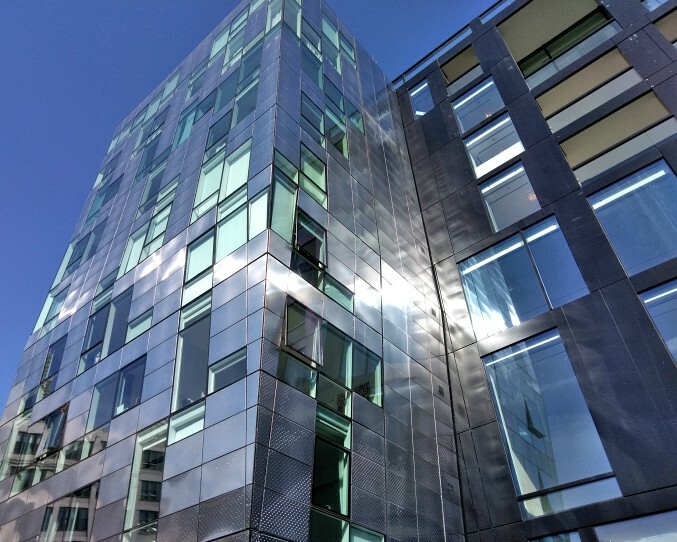 As part of the West Side Improvement Project, the High Line opens to trains. 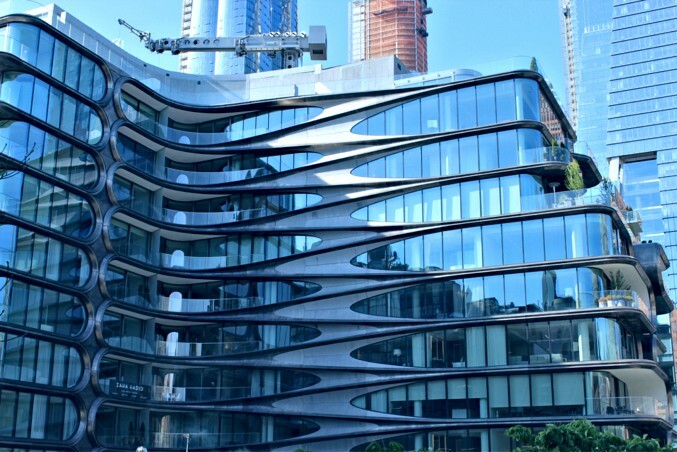 It is designed to carrying goods to and from Manhattan's largest industrial district. Following decades-long growth in the interstate trucking industry, the last train runs on the High Line in 1980, pulling three carloads of frozen turkeys, just in time for Thanksgiving. A group of property owners lobbies for demolition while Peter Obletz, a Chelsea resident, activist, and railroad enthusiast, challenges demolition efforts in court. 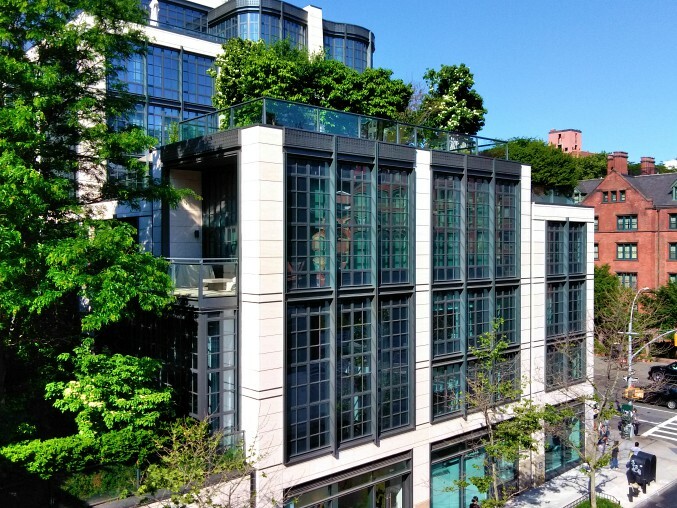 Friends of the High Line is founded by Joshua David and Robert Hammond, residents of the High Line neighborhood, to advocate for the High Line's preservation and reuse as public open space. 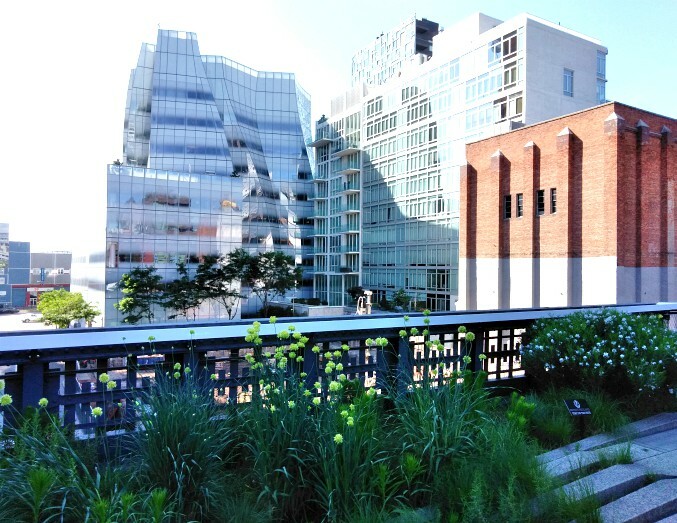 And here is the High Line as it is today. The preservation so brilliantly kept the railroad intact, while creating a walk-through park. 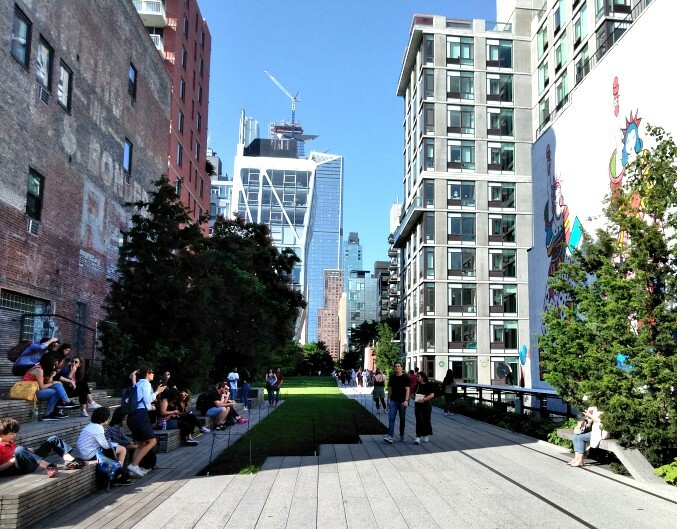 It is referred to as, The High Line: New York's Park in the Sky. It is a genius integration of old, mixed with new; the beauty of nature, mingled with the grittiness of urban life. 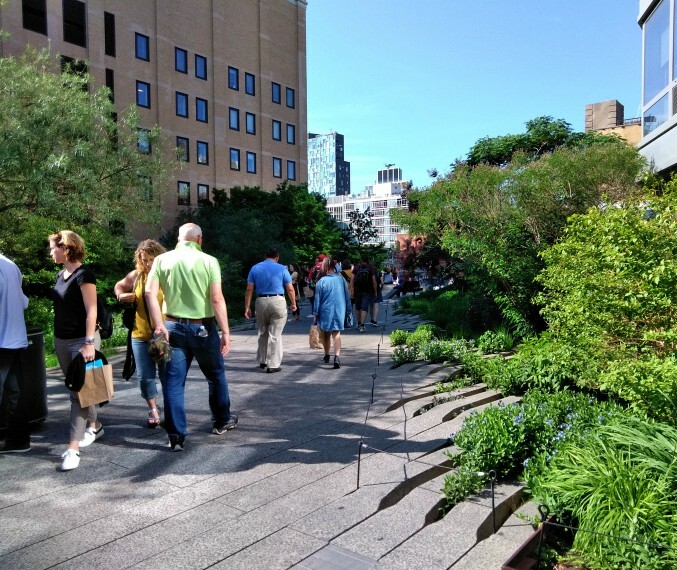 Experiencing the High Line is like walking through a museum. 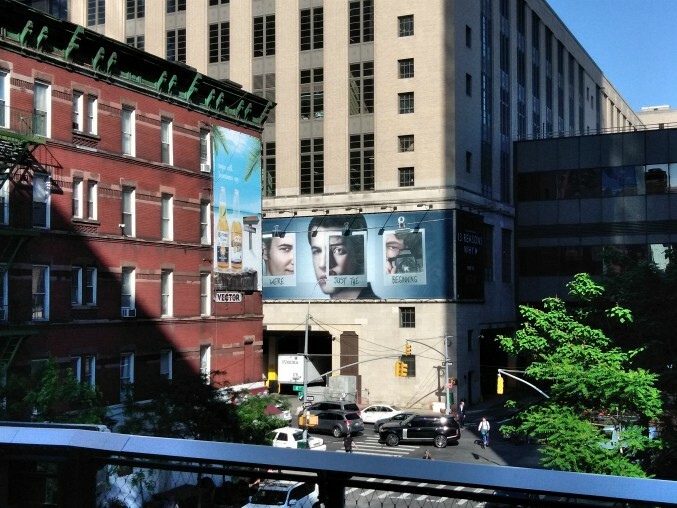 Above is the entrance to the High Line on Gansevoort Street. On the day I was there the weather was absolute perfection - breezy, low humidity, and a bright, clear blue sky. Through its landscape peeks the original train tracks. 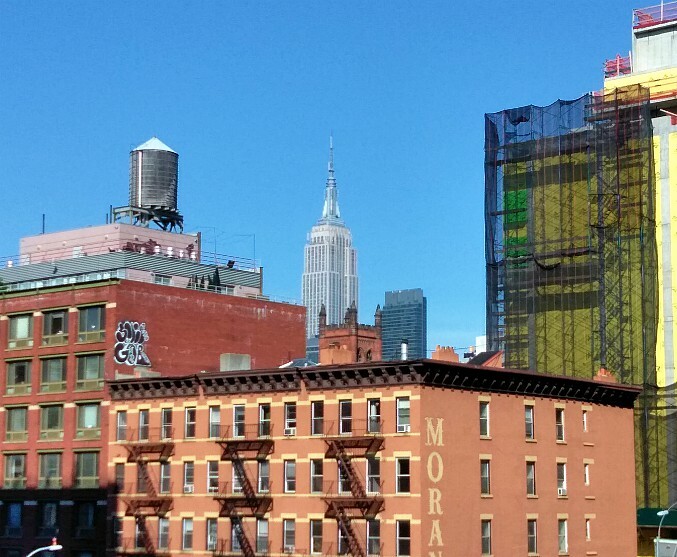 A view of The Empire State Building. I love all the various styles of architecture. You can actually sit here and look at the city traffic below, through glass windows. People are free to sit and relax all throughout the park. It feels almost magical because the energy there is both calming and relaxing, but also revitalizing and creative. Even within the grittier parts of the city along the walk, the grit becomes a precious work of art. You see, this is one of the main reasons while I adore New York so much. There are endless diversities and contrasts in everything you're exposed to that makes it such a special city. 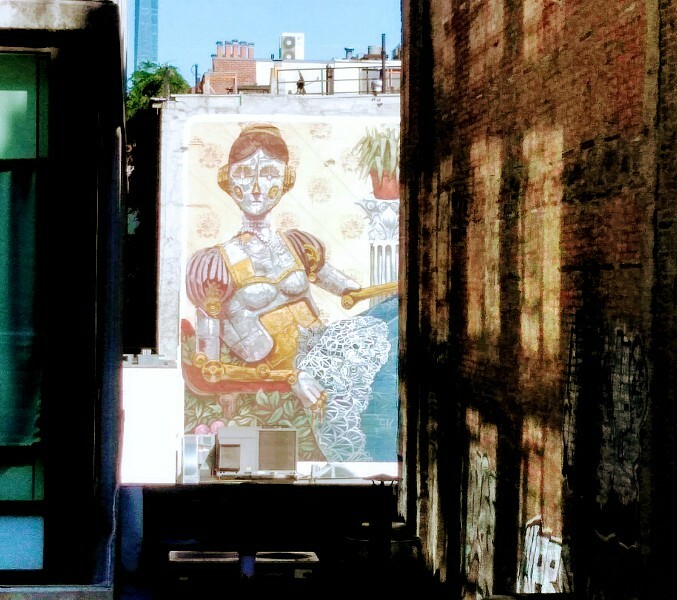 New York, you always inspire me. "That was some 'find', my friend, and a historic one. Reading the start of this post I expected to find a little place hidden from view, instead it is a glorious part of the city, both interesting and inviting. I enjoyed looking at the photographs. I hope you find out lots more when you revisit. We still have rain here, it's a weather change with a vengeance. Whatever happened to summer, I ask myself. "Reading the start of this post I expected to find a little place hidden from view, instead it is a glorious part of the city"
Yes, I thought the same thing when I heard the word "park" but was pleasantly surprised to see (after watching the documentary and seeing it in person) that is was a "park/museum/view of Manhattan" that I had never seen before. I went crazy with my camera and smart phone, and took so many pictures that I couldn't post them all. There were also spots within the park to eat, and a water fountain section for kids to run through. Once I move back to New York, I want to revisit in the winter to see what it looks like with snow! 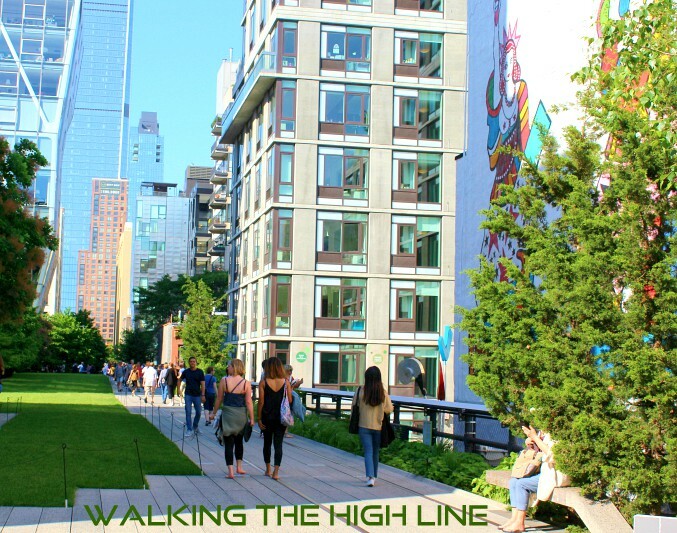 So you knew about the High Line? That's fantastic! 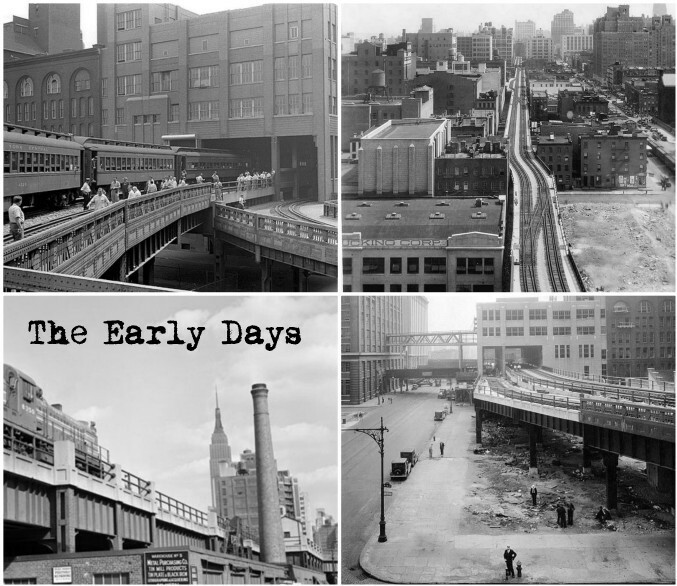 I was long gone from New York by the time they made plans to preserve it. 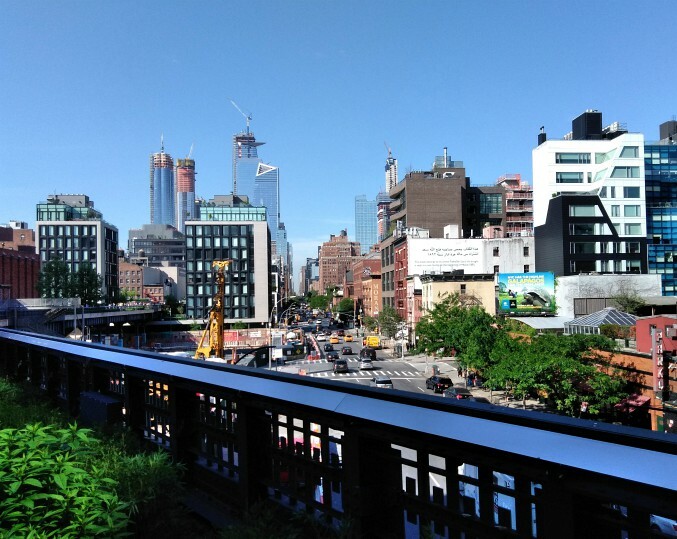 But even so, I still had no idea about the High Line and it's history. I found it incredible fascinating while watching the documentary. And the timing was perfect because I knew I'd be going into the city this week, so I made plans to stop by. It was even more beautiful than watching through the documentary. 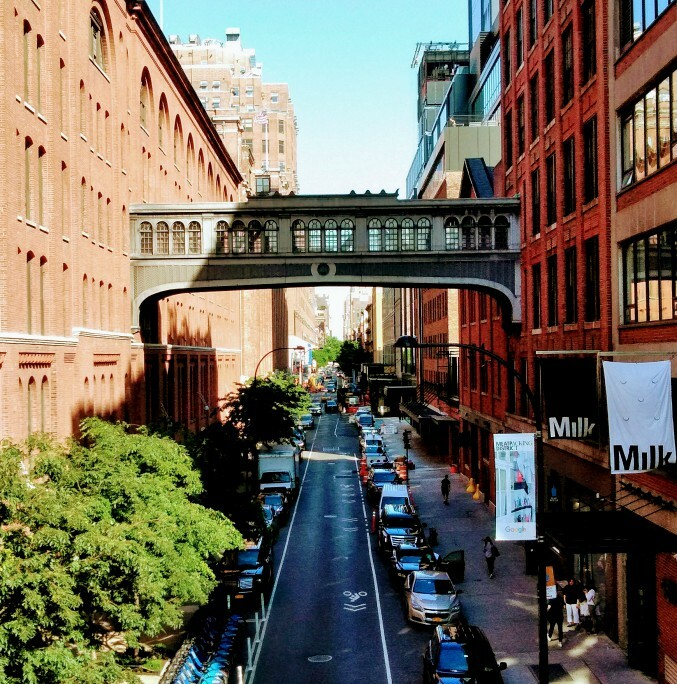 "And I also love the Meatpacking District pic as well." Thank you. I was DYING to get that shot because I know someone who works for MILK and knew that their office was in the Meatpacking District. Don't you just love the walkover bridge between the buildings? It's been ages since I've been down in that area and forgot how stunning it is! Thanks so much for stopping by, girl. Have a fantastic weekend! Ron, I read this awesome post at work this morning but didn't have time to comment. 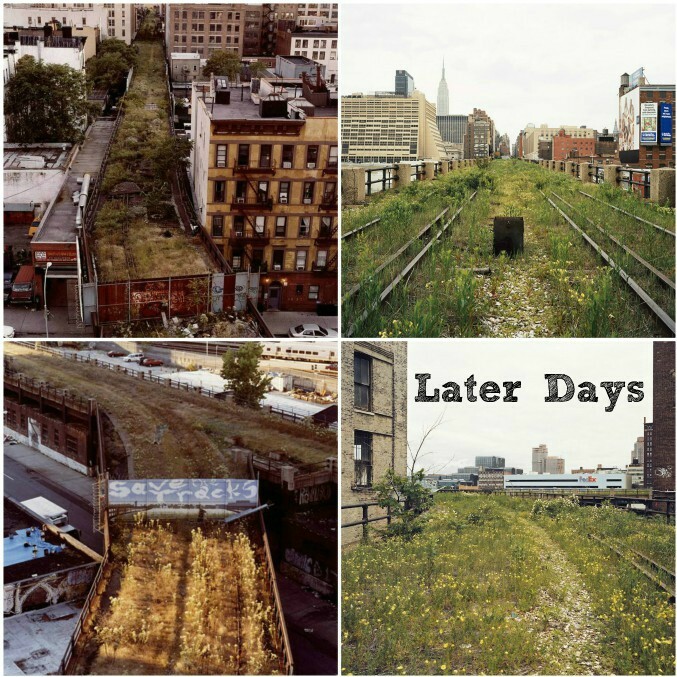 OH MY GOD, I am so loving these pictures and reading all about the High Line because it brought back so many memories for me. I was still living in New York when they started building it but by the time it was completed, I was living in Florida. I've wanted so many times to see it on my visits with my family, but either kept forgetting while I was there or ran out of time. I may be visiting my family in August, so I have to make a definite plan to see it while I'm there. I particularly love the last two photographs and what you said because it's so true! 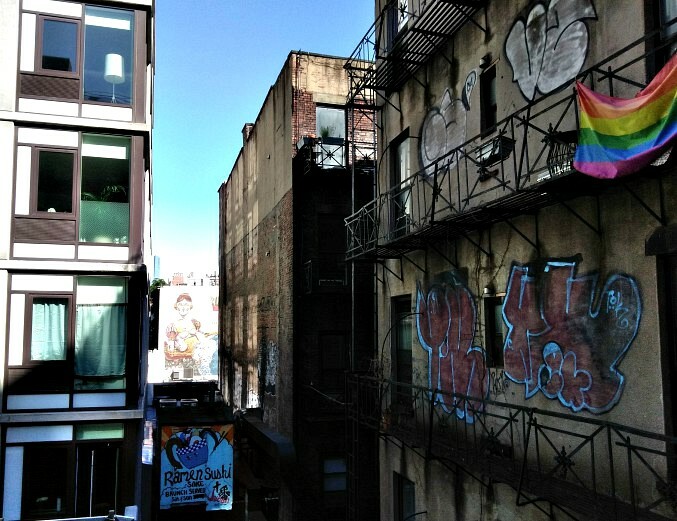 I miss the grittiness of NYC. 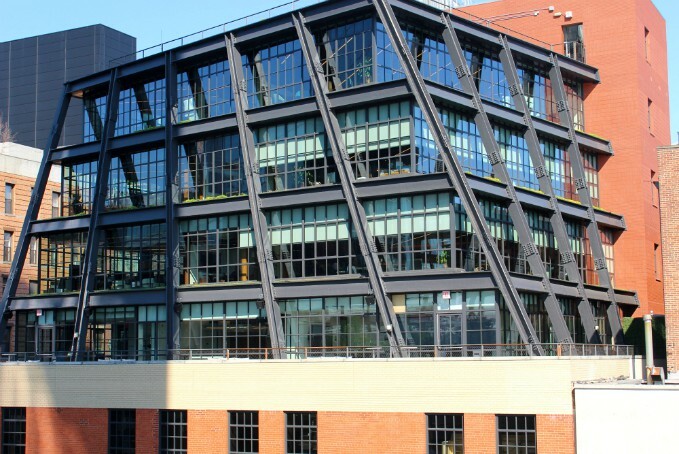 And I also love the Meatpacking District pic as well. Beautiful shot! Thank so much for reminding me about the High Line, Ron. I look forward to seeing it. "There are endless diversities and contrasts in everything you're exposed to that makes it such a special city. New York, you always inspire me." Ron, I love that! I can hear the excitement in your voice to be living there again. I am so happy for you! 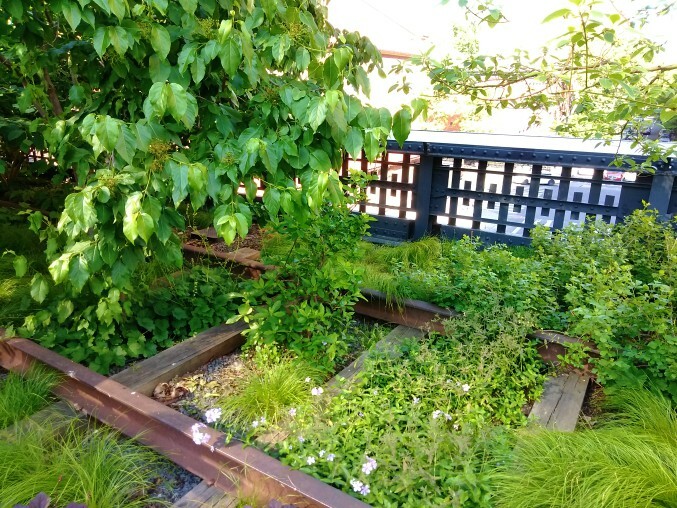 I didn't know anything about the High Line, so I found this post fascinating. Later tonight I want to watch the documentary you mentioned. Can't wait! Your photographs are glorious! They really give you a sense of how beautiful and diverse it is. How wonderful is that? Can't believe it isn't promoted more! 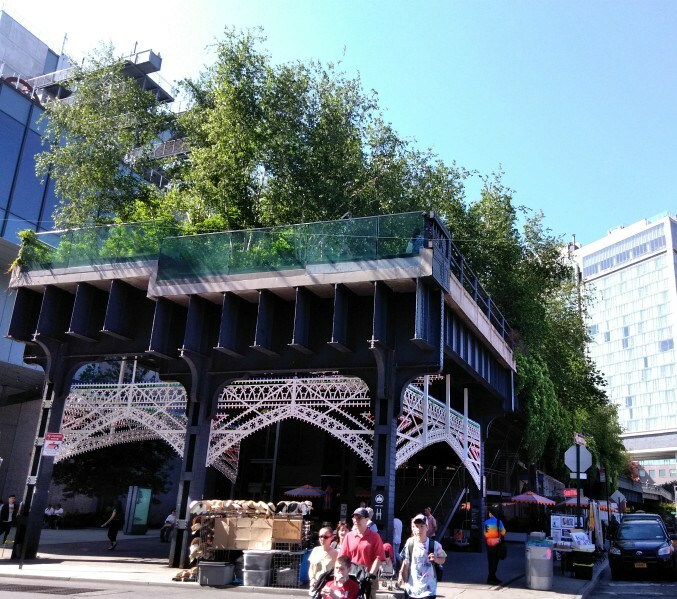 What a great way to get a new perspective of the city AND alleviate some of the foot traffic on the sidewalks down below.